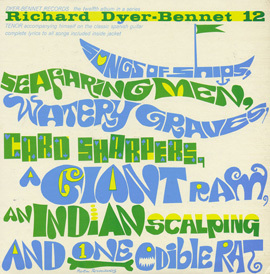 Richard Dyer-Bennet (1913-1991), a major figure in the folk music revival of the 1940s-1970s, performed English ballads and European and American folk songs, blending indigenous rural and traditional materials with a unique musicality and urban artistry. 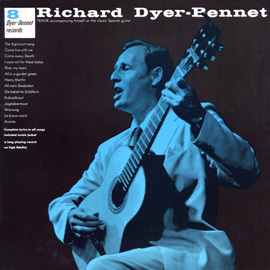 Dissatisfied with his earlier recordings, Dyer-Bennet founded his own record company, in partnership with Harvey Cort, in 1955 to ensure that his recordings would truly reproduce his voice and guitar as they sounded in live performance and that the songs on each record would be grouped as on his concert programs. 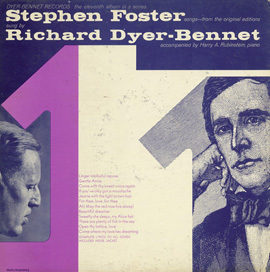 Dyer-Bennet Records were released to high critical acclaim. All fifteen albums in the collection were acquired for pressing and distribution by the Center for Folklife and Cultural Heritage in 1995. 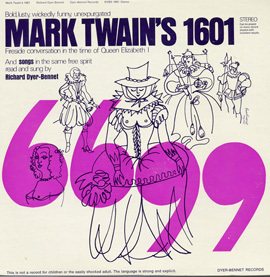 A few recordings from Dyer-Bennet Records. Click here for more. Stephen Foster songs - from the original editions. Tenor accompanying himself on the classic Spanish guitar. 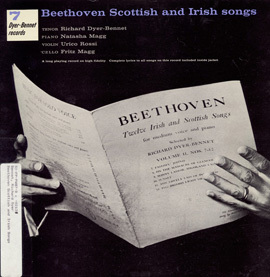 Beethoven, Scottish and Irish Songs.